The Sopwith Camel F1 was designed by Sopwith Aviation Company, it first flew in December 1916, entering service in May 1917. Between 5,490 and 5,941 Sopwith Camels were produced, serving with the Royal Flying Corps, Royal Naval Air Service (Sopwith Camel 2F1), Australian Flying Corps, Royal Air Force and the United States Air Service. The Sopwith Camel was produced by the Sopwith Aviation Company and at least ten other sub-contractors, the list of production numbers below is only approximate as many records are no longer available, especially records relating to cancellation orders. Designed as a replacement for the aging Sopwith Pup, this fighter was originally called the 'Big Pup', it was the first British fighter to use twin machine guns mounted side by side in front of the cockpit synchronised to fire through the propeller arc using interrupter gear, the resultant humped fairing over the machinegun breeches resulting in the fighter being nicknamed the 'Camel' whilst still under development, the name had to eventually be officially recognized because of confusion due to the nicknames wide spread inter-service use. Sopwith Camels shot down 1,294 enemy aircraft during World War I, more than any other WW1 Allied fighter, however, like all good dog-fighters the Sopwith Camel was relatively unstable in flight, this was due to it's lack of dihedral, gyroscopic effects of the rotary engine and it's tail heavy design. The Sopwith Camel was particularly infamous for its extremely vicious spinning characteristics, resulting in 385 pilots dieing from non-combat related incidents, more than the number who lost their lives in combat, the Sopwith Camels pilots jokingly said that they would receive a wooden cross, red cross, or a Victoria Cross! The Sopwith Camel was particularly well used by Canadian pilots, the highest number of victories whilst flying a Camel being 54 by Canadian Donald MacLaren, another Canadian, Captain A.R. 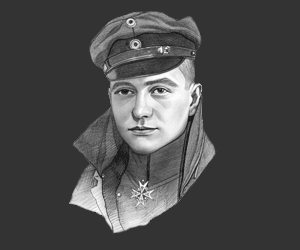 Brown of 209th squadron, is credited on the 21st of April 1918 with shooting down the most famous air ace of the First World War - Baron Manfred von Richthofen, whilst flying a Sopwith Camel. It is of note that on the night of the 25th of January 1918 a Sopwith Camel recorded the first ever night-fighter victory, shooting down a German Gotha bomber to the east of London. On a fictional note, the Sopwith Camel fighter was flown by 'Biggles' in the novels by W. E. Johns, and by Snoopy, the Peanuts comic strip character, when he imagines he is the WWI flying ace Captain A.R. Brown shooting down the Red Baron (Manfred von Richtofen). This picture of a Sopwith Camel f1 is Copyright © June 2014 Siteseen Ltd. We only authorise non-commercial picture use and particularly encourage their use for educational purposes. This Sopwith Camel F1 picture is not in the Public Domain. 3) Use of this Sopwith Camel f1 picture, or any of our pictures on websites re-distributing copyright free material is strictly prohibited.